All the need to know about the education system in Toronto if you plan to study in Canada. From public schooling to higher education, to learning about local universities like Toronto University and York University. The educational system in Toronto is exceptional. Run by the Ontario government, you will find that both publically-funded and private education are well-run. Children can attend kindergarten programs from the age of 4 before moving on to their elementary schooling which runs from grade 1 through 8. Once they have passed their elementary schooling, these young adults can advance to High School for the remainder of their school careers. Usually, students graduate at the age of 18 after completing year 12. Whether you would like your child to attend an English or French-speaking school, there are many options available to you. The Toronto District School Board is Canada’s largest school board, educating close to 300 000 students and governing over 450 elementary schools, 110 secondary schools and 5 adult education schools. Each of these publically-funded schools is government-funded and hosts English, French, Religious and speciality schools. Studying in Toronto opens up many opportunities. With internationally recognised degrees and highly rated facilities, students from all over the world are exposed to a higher education that surpasses all expectation. Over 14 000 international students choose The University of Toronto every year with most of these students coming from China and India. The university is made up of 3 campuses which are settled around the Greater Toronto area. St. George campus is the largest of the campuses, blending into the trendy downtown area of the city with large open spaces and modern architecture. With over 700 undergraduate programmes and 400 graduate courses, students have many options right at their fingertips. From engineering to dentistry and education to law, there are so many fantastic departments. The Faculty of Medicine is at the heart of innovation and cutting-edge technology, helping to advance the medical field in Canada and on a global level. Students can enjoy life on a thriving and exciting campus. The university offers many organised activities including parties and gatherings, but also focuses on assisting students with their studies and future careers with seminars and helpful classes along the way. Find out more about the university here. As the second largest university in British Columbia and the third largest in Canada, York University provides an array of courses to over 53 000 students. Over 5000 students from 157 countries worldwide have chosen to study at this prestigious university, making it one of the most popular choices for international students. York University has two campuses although Keele Campus hosts the majority of the students and is conveniently located only 30 minutes from Downtown Toronto. The university has 11 faculties with 5000 courses and one of the largest research facilities in the world. 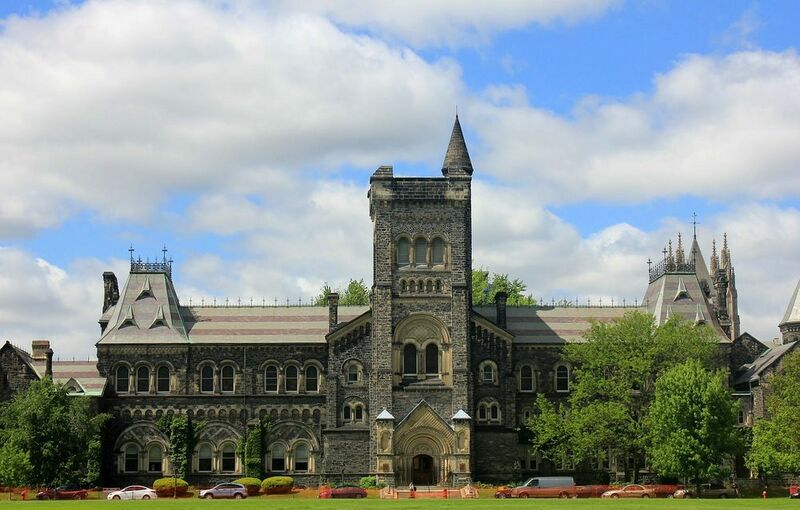 Among the universities’ biggest achievements is The Schulich School of Business which has been ranked first among Canadian schools in The Economist. The Liberal Arts school and the Psychology faculty are the largest of their kind in Canada. One of the most impressive faculties is the Space Engineering facility. This research facility has its own astronomical observatory which is used for studies but also offers open tours to the public. Adopting the unofficial nickname of “the city of neighbourhoods”, Toronto has a total of 140 official neighbourhoods within the Greater Toronto area. Welcome to Toronto, the most densely populated city in Canada and the fourth most populous in North America with a population of over 2.5 people.